What do you actually do in games? Here’s a question: What do you do in Mario? Good question. I love Mario! In Mario you run and jump and defeat enemies. You explore. You get from left to right. You sometimes climb flagpoles. If it’s Mario 2 you pick and throw vegetables. If it’s Super Mario World, you get to knock about on a dinosaur. If it’s Mario Galaxy you dropkick meteors into the heart of a distant sun. Mario is pretty good when it comes to doing things. It excels at getting things done. It has purity, and it also has range. Bungie has moved to swiftly lock down an ancient Destiny exploit, after players used it to dramatically speed up Rise of Iron’s glacial loot grind. 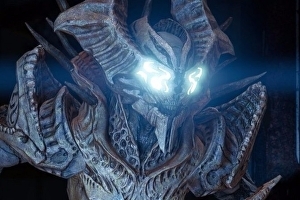 The Omnigul exploit was patched out after having been present in Destiny since December 2014. Simply put, it allowed you to kill a boss earlier than intended, nab its end-of-mission loot, then rapidly reset and repeat the process. 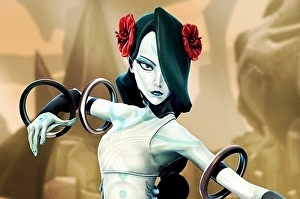 First-person hero shooter flop Battleborn will be free to play in the near future, a new report suggests. But there’s some confusion about what this will mean. Last night, reported on how the game will soon go free-to-play, as in the hyphenated “free-to-play” where a game is free to try and then you pay for extra things as you progress. Killer Instinct developer Double Helix was acquired by Amazon Game Studios shortly after the release of its free-to-play fighting game and now the developer is courting the esports market with Breakaway, a four-vs-four competitive action arena title. Revealed today at TwitchCon, Breakaway uses the dev’s penchant for deep fighting systems, only this time re-appropriates towards complex team-based action. The general gist of Breakaway is that two teams compete to bring a relic into a goal on their opponents’ end of the field. There are two additional ways to win: defeating every member of the opposing team through combat, or running out the clock while the relic is on the opposing team’s side of the map. Each character can carry the relic, but it’s easily dropped through a complex fighting system. How complex? Each character comes equipped with a core attack and three unique special moves tied to cooldown timers. For example, Alona, the healer, can cast a spell increasing the HP of those around her, or Spartacus’ Assault can do a bunch of quick combos. Make Sail, the latest crowdfunding endeavor on , looks like an endearing alternative to Rare’s upcoming Sea of Thieves. Both titles are first and foremost about sailing, naval combat, and treasure-hunting, but where Rare is gunning for the co-op audience, Make Sail is tapping those with an appreciation for physics-based pirating. 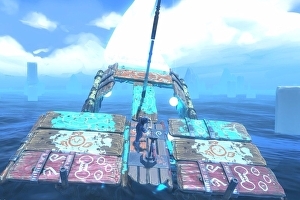 In development by Popcannibal (of and fame), Make Sail tasks players with crafting their own sea-faring vessel. These will affect how your ship moves, its top speed, and its sustainability through hazards. Sometimes you’ll need to be fast to outrun nautical predators, other times it’s more important to focus on shielding for harsh terrain, and sometimes you’ll want to invest on extra cargo space to haul resources around. “Snap together planks, poles, sails, masts, jets, propellers, balloons, propellers, sparklers and more,” Popcannibal teased of its robust vehicular crafting system. Watch: Is Firaxis done with XCOM 2? 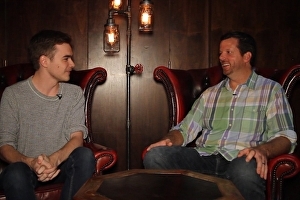 XCOM 2 is out on consoles this week We used this latest release date as an excuse to go and have another chat with Garth DeAngelis, the game’s Senior Producer. After asking him a few questions that he couldn’t really answer (future DLC and console mod support), we get onto some more interesting topics. Like, for example, why was it so important to the team that the sequel to XCOM: Enemy Unknown included turn timers? We even talk a little about an alien unit that ended up on the cutting room floor – that’s new! Good stuff, if you’re into excellent turn-based strategy. Have a watch. Messhof’s minimalist dueling game Nidhogg is getting a sequel next year with Nidhogg 2. The one-vs-on fencing sequel replaces its 2014 predecessor’s pixel art with an all new aesthetic, opting for a more Itchy & Scratchy vibe (with the characters’ silhouette and scream bearing a passing resemblance to Homer Simpson). 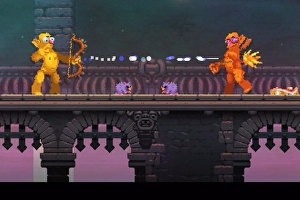 Nidhogg 2 will contain local and online multiplayer across 10-plus maps. 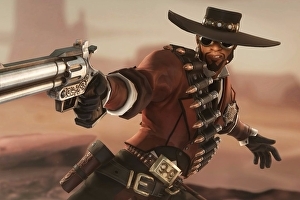 Three new titles are being added to the Xbox One’s backwards compatibility library today. 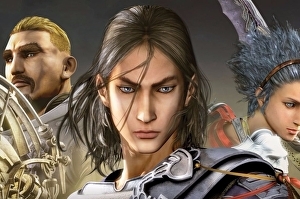 These include Mistwalker’s cult-classic 2008 JRPG Lost Odyssey, a game about an immortal man with amnesia that we considered more than a cut above its peers in storytelling, in no small part due to its text-based short stories by acclaimed Japanese novelist Kiyoshi Shigematsu. 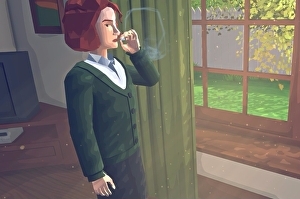 “Certainly, no other game has managed to capture such a breathtakingly elegiac tone, or created such a compelling account of the immortal longing for mortality,” wrote Eurogamer contributor Dave McCarthy in his . 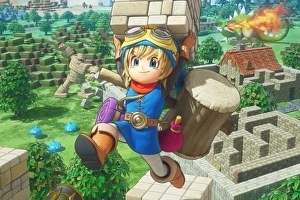 Dragon Quest Builders has been out in Japan since the beginning of the year and next week marks the release of the English language version. Dragon Quest Builders is a curious little game that, simply put, is a charming mash-up between Minecraft and Zelda. I’ll be playing ninety minutes worth of the first chapter for you today, starting at 3:30pm BST. The first chapter of the game acts as a rather lengthy tutorial and I’ve already streamed the opening three hours on my if you want to check those out. For this stream however, I’ll be continuing on from where I left off last night and will be jumping into the game just as it starts to give the player a bit more freedom to quest and build. Finally, there’s more information on . 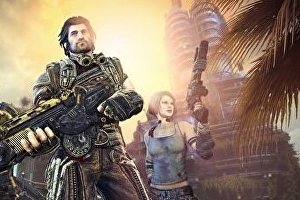 The underappreciated PC, PlayStation 3 and Xbox 360 shooter will be relaunched for PC, PS4 and Xbox One in 2017, a listing by the reliable Brazilian ratings board has revealed (thanks, ). Unexpectedly, the remaster will be published by Borderlands and Battleborn studio Gearbox. There’s no word on which developer is handling the port, however.